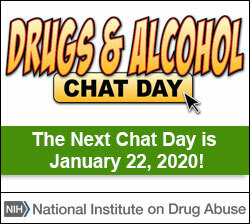 NIDA’s Truth poll is offered to students during National Drug and Alcohol Facts Chat Day to encourage them to think about their daily challenges related to substance use in their student and family communities. The questions are the same every year, so responses can be tracked year to year. I think teachers do a good job of explaining the dangers of drugs. I have tried to help a friend stop using drugs. I have friends who try to talk me into smoking marijuana. I have had someone offer me a prescription painkiller when I had no pain. I know someone who started smoking and wishes he could quit. I have been to parties where parents serve alcohol to kids. If I thought I needed drug treatment, I would know who to contact. I think marijuana is good for you because it’s a natural herb from a plant. I think drug users are cool. I think drug users are losers.